Bring 3 girls or bring 100! 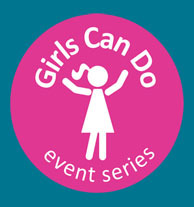 Bringing women and girls together for a fun and inspirational day. 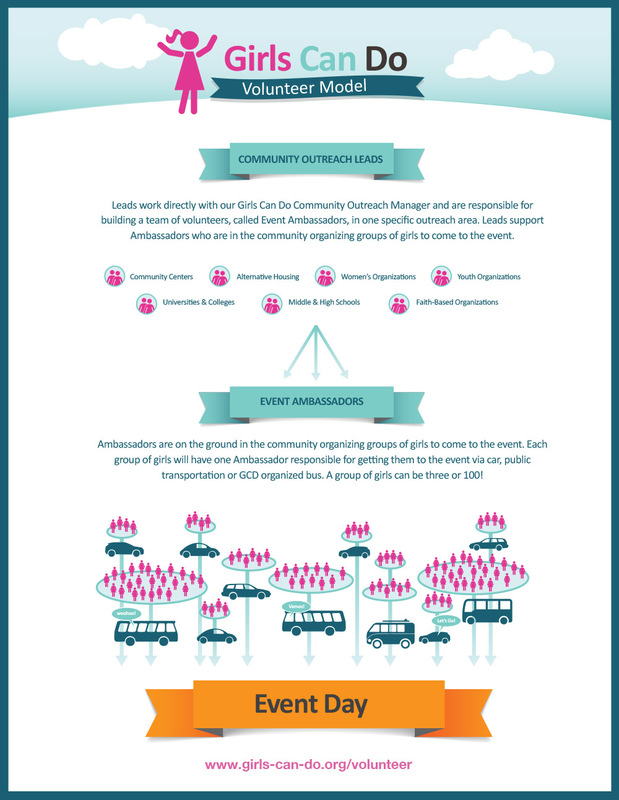 Ambassadors are volunteers who bring a group of girls to the event. Each Ambassador invites girls to come with them who would not otherwise have support to attend the event or a way to get there. A group is a minimum of 3 girls and can be 100! Each Ambassador and their group of girls get free tickets to the event ($25 value) and support from a Girls Can Do volunteer Lead for transportation logistics if needed. Bring your daughter, bring a friend, or think about going to a neighborhood in your city that has girls who may not have a parent who can bring them and create a “fun day field trip” and come together! Take the bus together, drive, or let us know if you need a ride and we will have a Girls Can Do transportation partner pick you up. If you know you want to be an Ambassador but don’t know how many girls you are bringing yet, no problem! Sign-up now to get started and then you can always go back and get more tickets for more girls. To get your Ambassador ticket and tickets for the girls you are bringing please click this button and register for the event.